LOT Polish Airlines looks to have just dropped some of their flights to Warsaw, Poland down to 40% less than their closest competition. The availability looks to be mostly in the second half of November. You can also fly to Krakow, Poland (KRK) and back for $30 more. 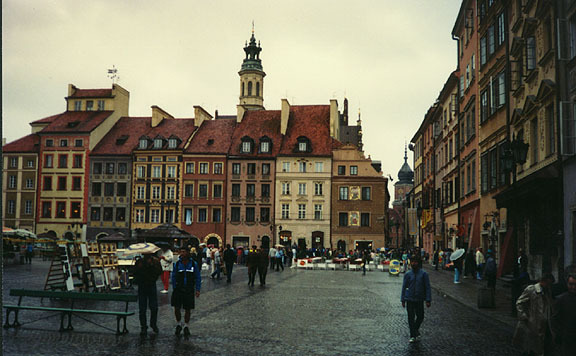 toronto, yyz, flight deals, europe, central europe, warsaw, poland, waw, eastern europe, lot polish airlines, krakow and krk. 2 Responses to "Toronto to Poland - $464 roundtrip after taxes"
Amazing price and direct. Only downside is November is the rainest month on average and temps can be between 11-17 celcius on average. However for a direct flight, on an airline like LOT this is a steal. LOL go on lot.com and look at what the fare code is they call it a "crazy" fare LOL. Now that's my kind of fare code!